Classic good looks and Born comfort are yours with the Born Nigel Boot. 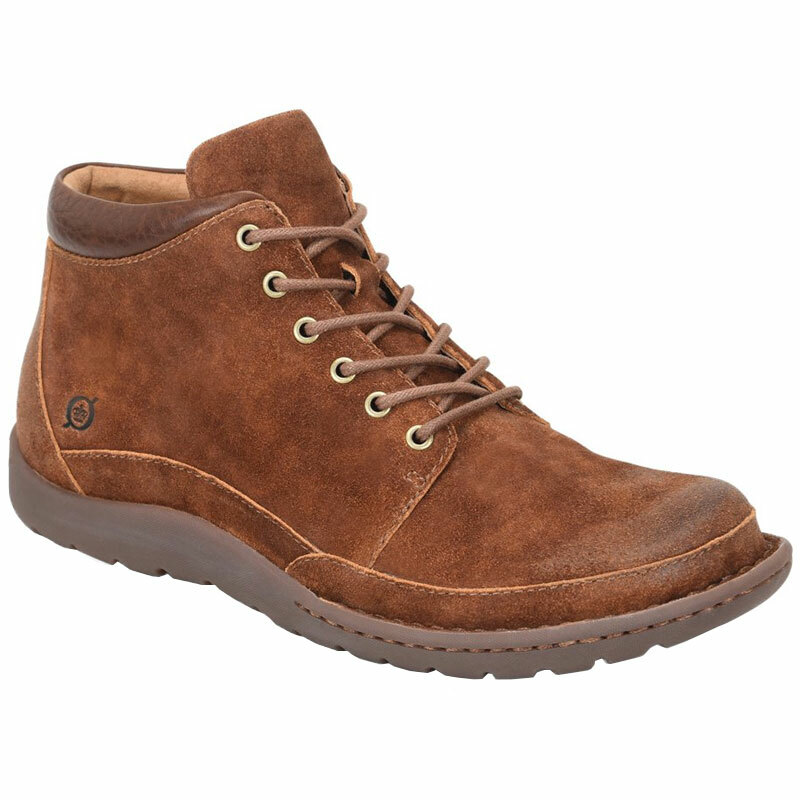 This work-ready men's chukka features a distressed suede or full grain leather upper with a padded collar for next to ankle comfort. The microfiber lining helps control moisture for an optimal foot environment, while the handsewn Opanka construction ensures a comfortable and flexible fit. The cushioned footbed will keep you going all day, but it's also removable to accommodate custom orthotics. A lightweight rubber sole provides excellent traction, so take on your day in comfort and style in the Born Nigel Boot.